UPDATE 1: Apologies for taking your hopes up as this one turned out as a hoax, designed to be humorous. The news is Fake, its confirmed by BlogsDNA. WOW. Can you hold it in your hand without it branding Google into your palm? Umm. Obvious fake 4chan meme. Lol, this was a photochopped joke guy. Research. lol, did yall really think it was for real?? 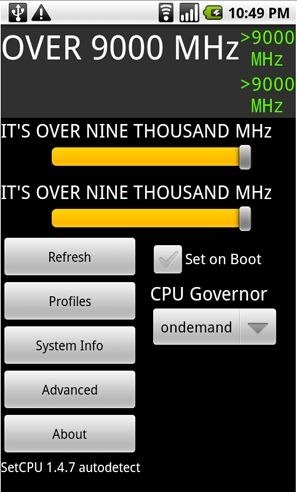 I can haz a 9000 mhz?